We are proud to announce we will partnering with Great Bridge Baptist Church for our Family Night Easter Egg Hunt on April 16th. 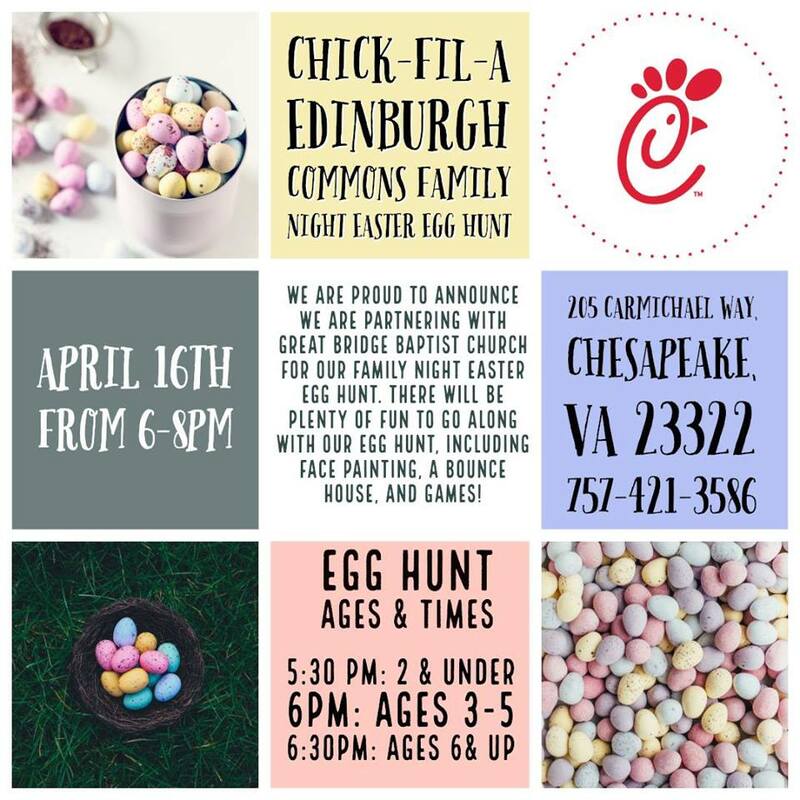 There will be will easter egg hunts for all ages plus fun for the whole family, including face painting, a bounce house, and fun family games! We hope to see you there! Don't forget to bring your baskets!